YKP (Young, Keen and Penniless): The big question- Should I upgrade? Is upgrading to an enthusiast camera worth it? 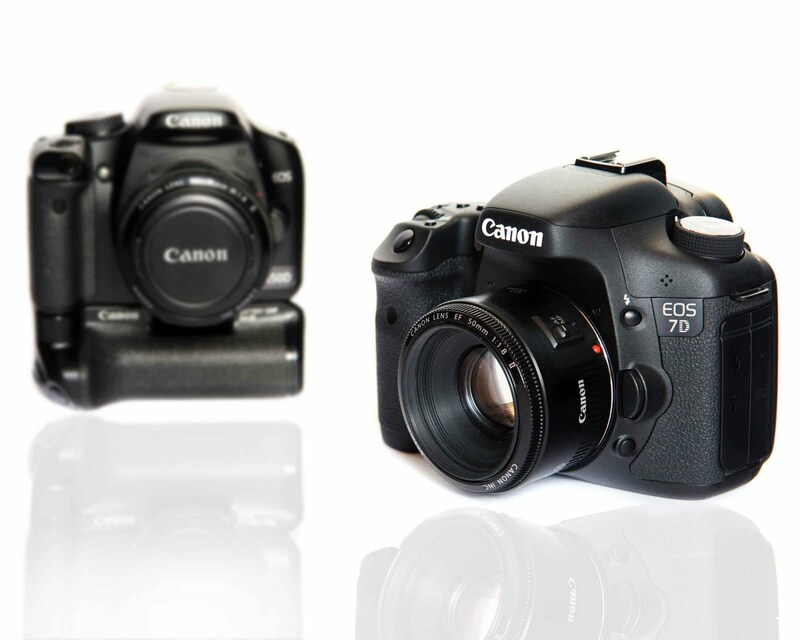 I recently took the plunge and bought a new camera- a Canon EOS 7D, to work alongside my EOS 450D, but the whole process of doing so got me thinking about why exactly I wanted a new model- after all my old one still works fine, it takes pictures which is all you can wish for from a camera! I thought long and hard about whether it was worth the expense (the 7D is after all a fairly pricy object) and whether, by investing in it I was likely to increase the quality of my images. The answer obviously was yes, but I’ll tell you something; I bought it because I felt it was going to make my life as a photographer easier. I simply saw it as a new tool that would enable me to use skills I knew I possessed, but wasn’t able to get the best of with my lower-range camera. I didn’t think, as I get the impression many do, “oh great a new camera- I’ll let it do the work.” As fantastic as cameras are these days, they still aren’t able to read the photographer’s mind- they don’t know exactly what you want to get from a scene, they can only take a guess, which means no matter how advanced and modern yours is, you have to be the main input of the picture-making process. We should never rely on the camera to make the picture for us, because that’s just asking too much! Here’s a bit of insight: when a pro photographer (and I mean a true professional) buys a new camera, it’s not because they just want it as a new toy, it’s because they’re under the impression that the new features it has over their old models will actually help them in their day-to-day imaging- they’ll find photography easier with that camera. I recently read an article in Amateur Photographer Magazine which said that (and I paraphrase) for the amateur it’s all about the camera, but for the professional it’s the image that matters which once again made me question why I had bought my 7D. I remember wanting the camera for quite a long time, since it was released in-fact, so did I shell out all that money because I wanted something new to play with? After analysis (I tend to do a lot of self-analysing) I pleasantly concluded that, as above, I was mostly concerned about the image and getting as all the camera adverts tell you you’ll get, the ‘perfect picture.’ The 7D has a wider ISO range and much better noise performance than my 450D and has 19 cross-type AF points, both allowing me to capture better action images such as sports and wildlife, whereas the magnesium-alloy, weather-sealed body helps me shoot with more confidence in more extreme environments. The increase in resolution wasn’t what I bought it for but since it doesn’t equal more noise, I’m not complaining. I’m happy to say I’ve reached a point in my photographic career, where I have a greater understanding of the relationship between photographic skill and gear. I’d be lying if I said I haven’t enjoyed showing off my new camera, but what matters more to me now is results, regardless of what I’ve used to get them. To conclude, it’s my opinion that in any profession, not just photography, you should only consider upgrading your hardware when you feel your present equipment is holding you back to an extent that you can’t adjust your technique to compensate; if you still find yourself looking at the LCD and saying to yourself ‘that isn’t half bad’ it isn’t time to upgrade.